Hi I have a german shepard Kim is her name she is 14 years old and she has athritus in her back end, she has started to drag her back legs slightly and is taking the skin off her feet and damaging her nails. Im looking for a solution for my baby. I bought her some boots to wear but they just make her feet very sweaty and they although soft are a little awkward for her to walk in. Congratulations on your senior GSD. That is quite an accomplishment to have a German Shepherd reach that age. As for the leg issue I would assume that that is basically because she has arthritis but if I were you, to be sure, I would have her checked at the vet to make sure that the problem is not because of any other issue. That being said, I can suggest that you put her on glucosamine to help those old joints. But I would also ask your vet about giving that to her to make sure that there are no potential drug interactions, etc. And if you go the wheelchair route, you can get a good used one for probably around $300 or so. I have gotten one from doggon wheels (http://www.doggon.com) before and they were excellent to work with. Good luck! Hi Jane & all Shep lovers. Hi Jane my shepherd is 11 yrs old, he lost use of his back legs in 2009. It happened suddenly, I took him to Aangel Hosp in Boston. They did surgery on his spine, they found that he was ONE OF ONLY FOUR SHEPHERDS IN USA THAT HAD FLUID FILLED CYSTS ON SPINE. ONLY 4 KNOWN CASES. I spent $11,000 plus to have him cared for. He was still paralysed back legs when I brought him home. I did range of motion exercises on him several times daily...gently. Ice and heat packs on his spine, alternating. He walked again 2 mths later. He gets spasms now, he has a twisted gait, goes up and down stairs all day long. He is on Deramax 100mgs twice daily. He also has hip dysplasia... most do eventhough he is a purebred and aka registered. He has the sweetest disposition, loves to play. I also give him Gabapentin check with vet. Good luck to all. Jane, Kim needs to learn how to walk in a cart now while she can walk. You may also want to view on YOUTUBE how you can manually make her deficate and urinate. The term is "EXPRESSING". Pain medications to ease the joint issues and maybe look at helping her reduce any extra weight. 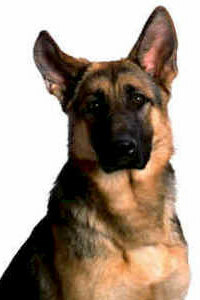 My Princess, GSD was 17 years, 11 months and 23 days when she died of apparent food posioning by food processed in China. My point here is Kim has a bright future with your help.